Time can often erase the memory of the past and in the case of convicted domestic terrorists of the 60’s seek to re-write it entirely. 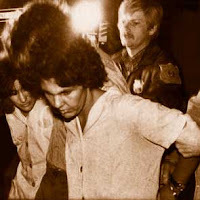 The latest case in point is that of Judith Clark a member of the Weather Underground currently serving 75 years to life in prison for the shooting deaths of police officers Edward O’Grady and Waverly Brown, and also armored car guard Peter Page during the botched Brinks Robbery in Nyack, NY in 1981. Talk about minimizing involvement, that is outrageous. What is missing from the story can be found both in the record of the past and also in the present. Clark was an avowed member of a domestic terrorist organization. The Weather Underground or Weathermen as they liked to be called, along with members of the Black Liberation Army, were responsible for no less than forty bombings of government buildings, military bases, police stations, and corporate headquarters. As many as 10 police officers, including NYPD Officers Waverly Jones, Joseph Piagentini, Rocco Laurie, and Gregory Foster were gunned down by members of the movement. The Times article attempts to make the point that only Clark remains in prison of all the other women arrested and convicted for the acts of violence committed by the domestic terrorists of the 60’s. Somehow, no mention is made of Joanne Chesimard also known as Assata Shakur, convicted in the shooting death of New Jersey State Trooper Werner Foerster in 1973. 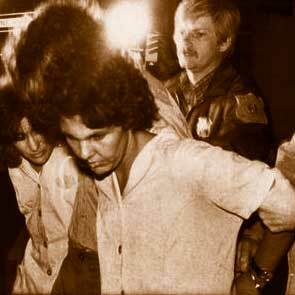 Chesimard escaped from prison in 1979 and fled to Cuba where she was granted asylum by Fidel Castro. She remains on the FBI’s most wanted list. Members of the Weathermen and the BLA currently in New York prison remain in contact with Chesimard through several intermediaries who both visit the prisons and travel to Cuba to talk with Chesimard. The members of these radical domestic terrorist groups remain involved even to this day with other terrorist organizations. In June of 2011 I testified before the House Committee for Homeland Security. “In 1999, two years prior to 9/11, several law enforcement agencies received information regarding radical Islamist activity in the prison system. The first of these incidents occurred in February 1999. At that time, both the FBI and the Inspector General’s Office for the New York State Department of Correctional Services received information specifically detailing recruitment efforts within prison. Contrary to popular belief, convicted terrorists do not lie dormant in a jail cell. Even today members of the Weather Underground have been actively involved with groups like Viva Palestina and HAMAS regarding the current situation in the Middle East. So what happens when an individual, such as Ms. Clark or co-defendant David Gilbert goes into prison? A first timer like Clark learns from the old timers how to become “jail wise” That is to act and talk as one who is ready for release. Use your time to convince others, like the Parole Board or the Governor’s Executive Clemency Bureau, that you are indeed a different person and that you no longer present a threat to society. If you do this, they’re told, you get a pass on the heinous acts you committed. As time goes by they become less and less serious. Who actually accurately remembers the radicals of the 60’s ? The family of the victims do. And every time another story is written about how good the murderer has become, the wound is re-visited and the pain returns. The official goal of prisons is confinement or removal from society. The desired goal is rehabilitation. The reality is neither. Often what comes out of prison is much worse than what went in. As in the case of Lamont Pride accused in the shooting death of NYPD Officer Peter Figoski in December. Pride had previously spent time in a North Carolina prison for Robbery. Thirty years from now will we forget Officer Figoski untimely death? I hope not. Those who do forget dishonor those who have fallen. Cop killers should not be set free and Judith Clark is no exception, not withstanding the hundreds of letters from well intentioned individuals on her behalf. The sentence fits the crime. Release should not be an option. New York City Mayor Michael Bloomberg recently sent out invitations to a large diverse group of the City’s religious leaders for his annual interfaith breakfast. The overwhelming majority responded positively. One group decided to boycott the event as a form of protest. They were angry at the Mayor’s refusal to join the group of naysayers vilifying the NYPD and it’s Commissioner Ray Kelly. The Islamic Leadership Council stated they didn’t feel comfortable “going to have coffee and donuts with the Mayor...” The uncomfortably they say is based on the Mayor’s refusal to denounce the NYPD’s CounterTerrorism Program which has kept New Yorkers safe from terrorist plots in the 10 years since 9-11. The Council considers the NYPD’s action illegal and has called on both the Justice Department and Congressional Committees to investigate. What exactly is the Islamic Leadership Council? When was it formed? And who do they represent? The Council, also known as the Majlis Ashsura of Metropolitan New York, represents 35 Sunni Muslim congregations in the New York City area. In a city with over 175 Mosques that amounts to about 20 %. It does not represent Shia or Sufi Muslim congregations. They do not represent the vast majority of Muslim Americans living in the greater New York / New Jersey Region. Zulqarnain Abdu Shahid recently gained notoriety by being arrested by NYPD. Bilal also known as Charles Fuller was arrested for soliciting a prostitute in August 2011. This was not Bilal’s first run in with the law. He has been arrested 18 times for charges including robbery, grand larceny, and bribery of a public official. Imam Zulqarnain Abdu Shahid was arrested for attempting to smuggle dangerous contraband into a New York City Correctional Facility in 2010. Shadid, formerly known as, Paul Pitts, had previously been arrested for Murder and Robbery and had served 18 years in prison for the crimes. The Islamic Leadership Council has also spoken out in support of Imam Luqman Abdullah. Abdullah was killed in a violent shootout with law enforcement officers in Detroit in 2009. It was Abdullah who encouraged members of his congregation to shoot police officers if they had a gun handy, according to FBI transcripts. The Council has also hailed as a leader in the Islamic community, Imam Jamil al Amin currently serving a life sentence in Federal Supermax prison for the murder of one police officer and the wounding of another in 2000. They view him as a political prisoner, the victim of an overzealous police department and prosecutor’s office. With membership and heroes like this is there any wonder why the Council has such disdain for law enforcement in general and the NYPD in particular? This was not the Islamic Council’s first foray into the protest movement. Several months back Imam Aiyub Abdul Baki of the Islamic Leadership Council gave a sermon in Zuccotti Park in support of the Occupy Wall Street protesters gathered there. In part the speech denounced the NYPD’s treatment of the movement with charges of oppressive tactics by law enforcement against OWS and Muslims and comparing the two movements by stating that they were fighting the same enemy. That being the NYPD. childishness when speaking about the event. Sometimes the best corrective action for a spoiled child is to ignore them until the tantrum passes.